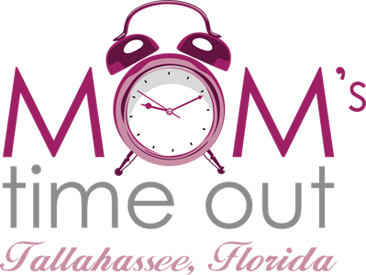 Mom's Time Out Tallahassee: Tomorrow is the Big Day! 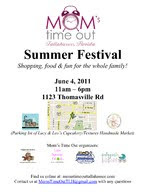 The Mom’s Time Out Summer Festival is tomorrow, June 4th, from 11:00 am- 6:00 pm. The event will feature over 40 mom-run and local businesses, including crafters, retailers, food, services, and so much more! The event will be held on the property surrounding Lucy & Leo’s Cupcakery and Textures Handmade Market at 1123 Thomasville Road. We so very much appreciate the support we have had for Mom’s Time Out from these two businesses. They have been more than supportive of MTO since our first event. If you haven’t been out to check them out, this is the perfect opportunity. They are located in Midtown, on Thomasville Road, between Manor @ Midtown and Chez Pierre/Wine Loft. The door prize list continues to grow with over 30 prizes and all you have to do is write down your name and email address to win. We hope that you will come on out and shop, relax, and enjoy part of your Saturday with us at the Mom’s Time Out Summer Festival!